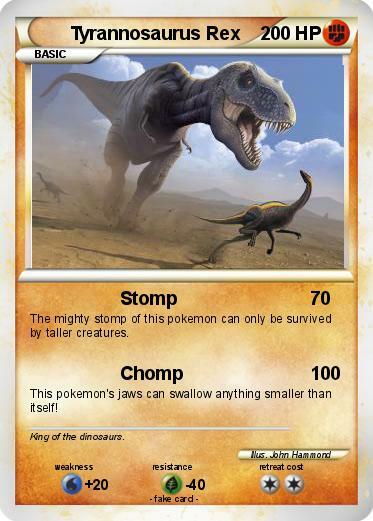 The mighty stomp of this pokemon can only be survived by taller creatures. This pokemon's jaws can swallow anything smaller than itself! Comments : King of the dinosaurs.